I’m not much of a gamer these days but every now and again, I’ll read about a game that piques my interest. 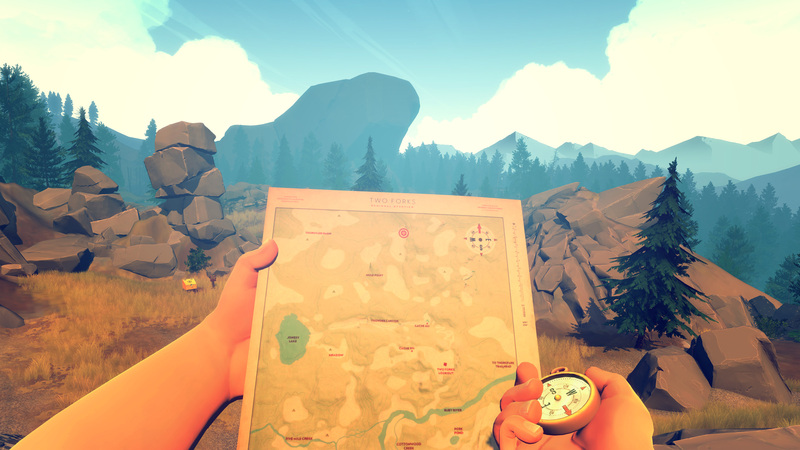 Firewatch is one of those games and now that it has a free-roam mode on all platforms, I’m even more interested in giving it a shot. Developer Campo Santos revealed in a recent blog post that the latest patch for Firewatch adds an objective-free free-roam mode complete with dynamic 24-hour day-and-night cycle. The requisite patch should be available as of writing for PlayStation 4 and PC gamers via Steam (the Xbox One already has free-roam mode). As always, there’s a catch. If you’re hoping to fire up (no pun intended) the game and jump right into free-roam mode, you’ll be sorely disappointed. The new mode is only available once you’ve completed the main campaign. That’s a bit of a bummer for those like me that get more enjoyment out of roaming freely in a game versus playing through a story-driven campaign but I digress. To access free-roam mode once you’ve completed the campaign, navigate to the Special Features section in the main menu. As an added bonus, Firewatch has been updated to support the new PlayStation 4 Pro. PS4 Pro owners playing on a 1080p display will be privy to enhanced detail distance, smoother loads and much higher quality shadows. Those with a 4K display will see the world rendered at WQHD (2,560 x 1,440) resolution with the UI rendering at 4K (3,840 x 2,160) resolution and an overall enhanced level of detail compared to the standard PS4 version.